Shawnee Mills Mexican Cornbread mix and Shawnee Mills Brown Gravy mix, this recipe can be made in two parts and is great for camp outs hunters and family gatherings. 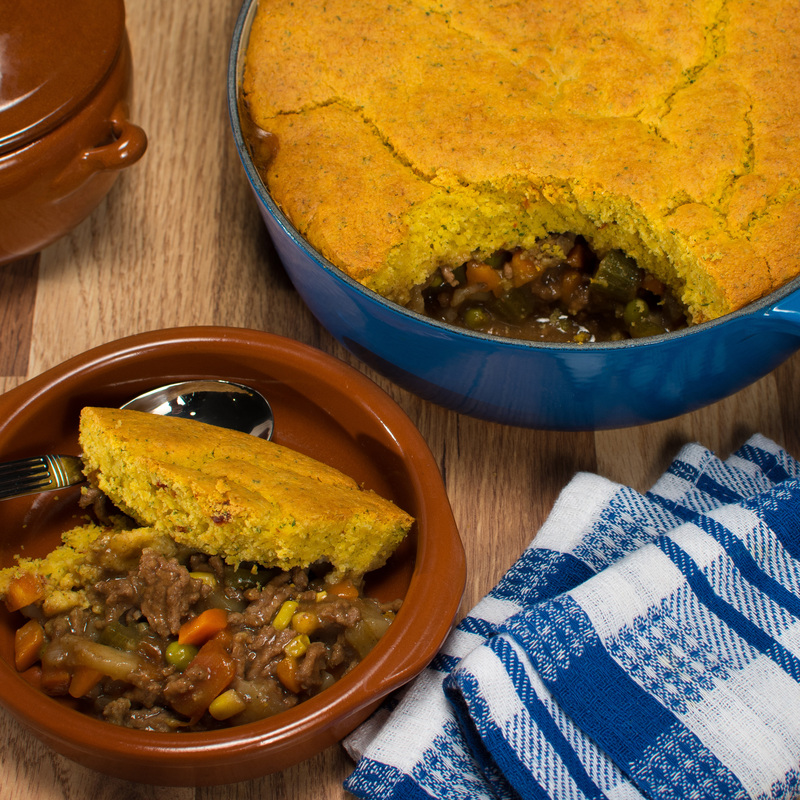 It utilizes basic varied ingredients and basic cooking principles with an American cowboy style of the Sheppard’s pie. In a 12” Round Dutch oven Brown the beef, add garlic and sauté for an additional minute, then add 1 ¾ cups water and bring to a simmer, add the frozen vegetable mix and simmer for 5 min. Combine the dry gravy mixture from packet with ½ cup water whisk mix thoroughly and add into to the beef and vegetable mix to make a rich sauce. Taste and add salt and pepper as needed.